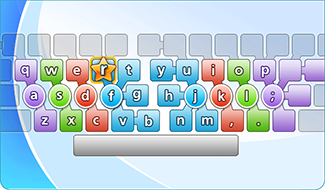 Welcome to Train Your Typing! 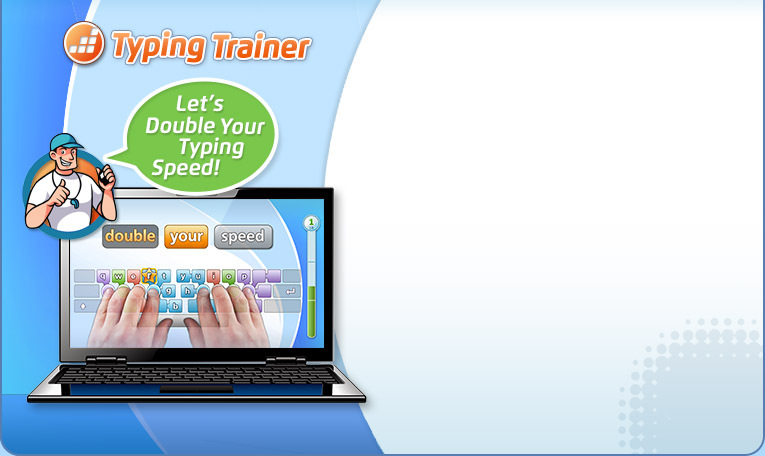 Are you ready to boost up your typing with our powerful touch typing course? Just click below to start your training for free! Free Signup Forgot your password? There was a problem logging in! Retype your email and password and try again. 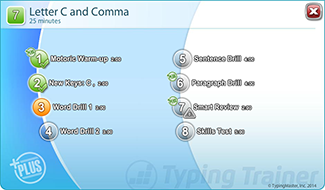 Each lesson introduces a couple of new keys and provides a step-by-step training program from warm-ups and key drills all the way to fluent text entry. 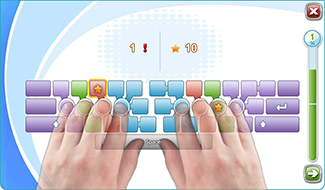 The on-screen keyboard makes learning new finger movements intuitive as it visualizes the paths your fingers should follow. Before introducing new keys your fingers are warmed up and oriented for the new movements - this will make learning much easier and faster. Try now how the motoric drill works. 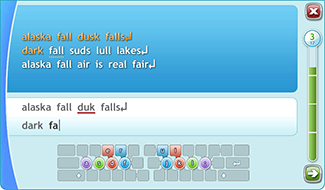 Once you've learned the new key locations, they are integrated into the fluent typing process with varying word and text drills. 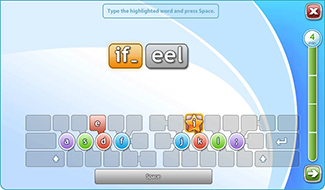 During training our typing web course detects those words you have difficulties with and then creates a targeted review exercise to hone them. Try now how the review works. 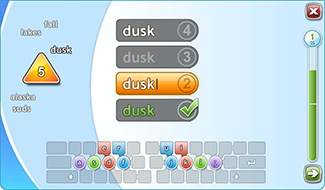 At the end of each lesson you can assess your current skills with a Skills Test to see if you need some extra practice.